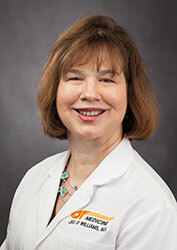 The University of Tennessee Graduate School of Medicine (UTGSM) Internal Medicine Residency program is comprised of an outstanding team of faculty, staff, and resident physicians with the charge to deliver world class patient care, advance medical knowledge through research and inquiry, and improve the quality of healthcare. The small program size and low resident to faculty ratio provides an environment where residents can form longitudinal learning relationships with dedicated general medicine and subspecialty faculty. This program has been described as "small but intense" by residents and students alike, reflecting well the department's emphasis on rigorous training combined with personal attention from the faculty. 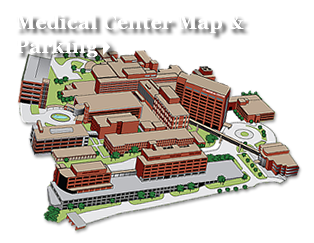 The University of Tennessee Medical Center (UTMC), the nationally ranked tertiary care medical center where the majority of training occurs, maintains a deep commitment to medical education. Since 1956 this facility has trained thousands of medical students and resident physicians in the ever-growing residency and fellowship programs. Patients have access to a broad array of specialty and technology driven care, built upon a base of outstanding primary care provider network. The Department of Medicine has fellowship programs in cardiology, interventional cardiology, and pulmonary disease and critical care medicine, and has expanded the residency class size from 9 to 12 residents per year. The department is continuing to grow, with current projects to add fellowships in nephrology and critical care. The direct patient care this department provides and the physicians trained here that practice in the region are critical to the life of the East Tennessee community. The majority of UTGSM graduates choose to make the Knoxville area and East Tennessee their home. For more information regarding applying to the Internal Medicine Residency Program, please visit Residency Applicant Criteria. Our office is staffed with 8 Board-Certified Internists and 30 resident physicians dedicated to serving the primary care needs of the East TN community. Each patient will be seen by a resident physician under the supervision and guidance of an attending physician. Our staff proudly endorses being a part of a large teaching academic center and our mission of healing, education, and discovery can be seen with each office visit. As part of that mission, patients are encouraged to actively participate in their health care decisions. For more information, please read the brochure. Please call 865-305-9410 for patient referrals.